Hey, did you miss me? I accidentally took a break from blogging last week. Meaning I was too lazy to make anything. This week... still too lazy. 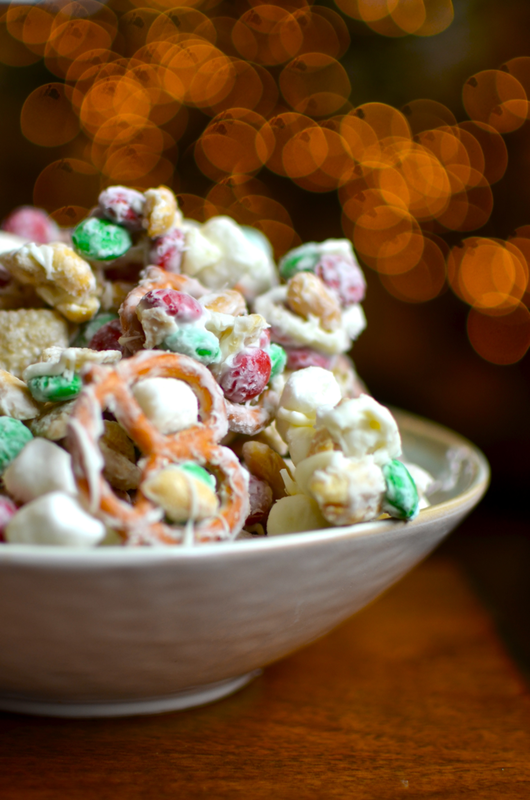 Luckily a sudden memory came upon me of some reindeer chow which I had photographed last Christmas but never posted. I guess I must have had some kind of a problem with these photos that made them seem unworthy of being posted. They look fab now though, so enjoy. 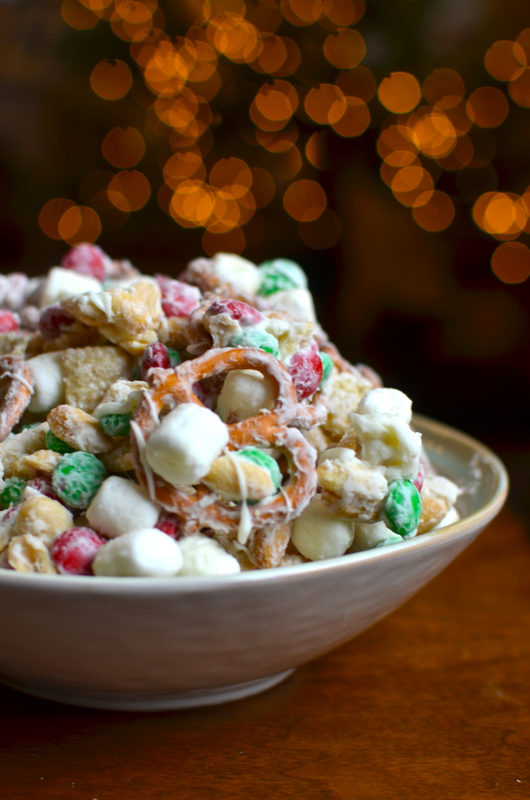 Combine the Chex, pretzels, marshmallows, M&Ms, and peanuts in a large bowl. Set aside. 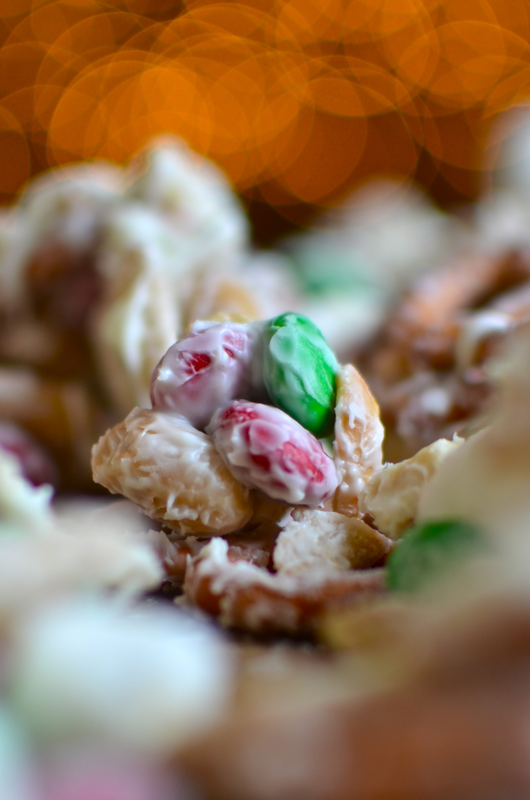 Melt the white chocolate (if using white chocolate chips instead of baking chocolate, turn the microwave power down to 50% and stir every thirty seconds until melted). 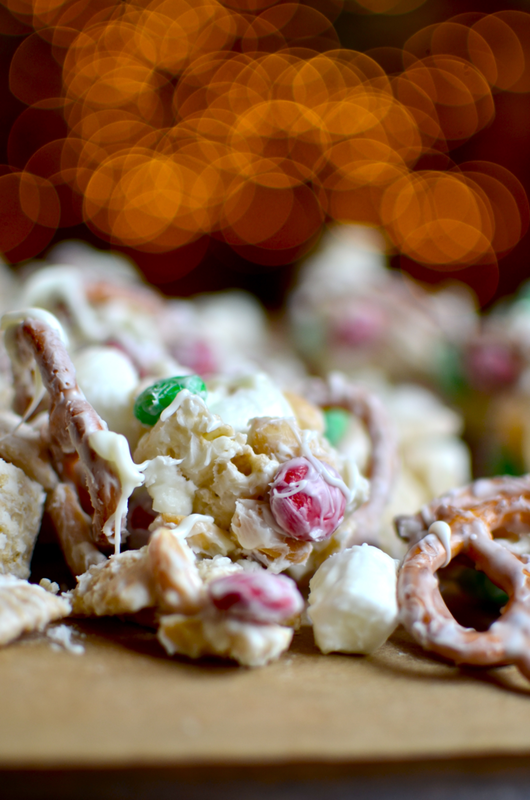 Pour the melted white chocolate over the Chex mixture and stir to coat evenly. Spread onto a large sheet of parchment and let cool until hardened.